Ukrainian carriers served 429,200 passengers in January of this year, up 1.9% from the same period in 2015, according to the Ukrainian State Aviation Service. The traffic grew only on domestic routes. At the same time, international traffic (378,600 passengers) decreased 1.2% compared to the January 2015 statistic. Ukrainian airports recorded 1% traffic growth for the same period, up to 747,300 passengers. 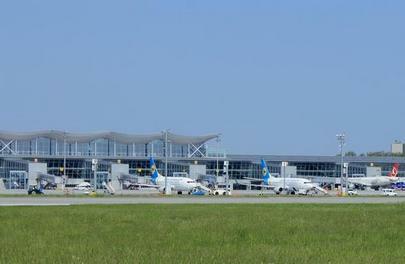 International traffic at Ukrainian airports decreased 2.9% to 642,400 passengers. Domestic traffic increased proportionately. Ukraine’s busiest airport, Kyiv’s Boryspil, served over 520,400 passengers in January, showing 3.7% YOY growth. The growth is linked to the successful implementation of the hub model, which resulted in 140% transit traffic growth. In 2015, Ukrainian airlines and airports experienced a decrease in traffic numbers. Airlines reportedly lost 3% of their traffic (down to 6.3 million passengers), whereas airports served 10.7 million passengers, a 2% YOY decrease. Boryspil and its base airline, Ukraine International Airlines, recorded traffic growth of 6% and 26%, respectively.